Donald Trump is threatening to pull out of the agreement, negotiated in 2015 between Tehran and six world powers, by a May 12 deadline. 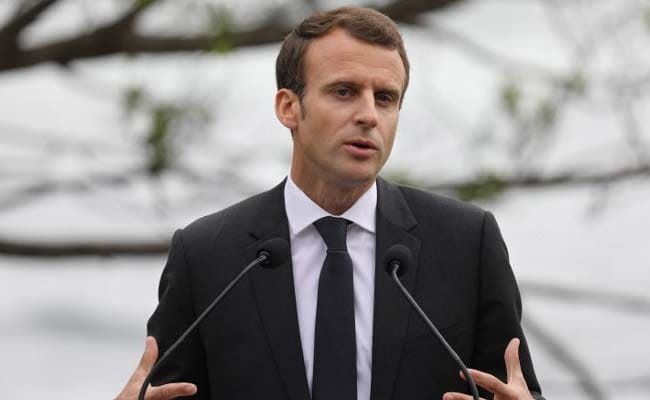 Sydney, Australia: French leader Emmanuel Macron reinforced Wednesday his commitment to the Iran nuclear deal, saying no one wants an escalation of tensions in the region, while admitting the accord needed strengthening. US President Donald Trump is threatening to pull out of the agreement, negotiated in 2015 between Tehran and six world powers, by a May 12 deadline for Washington to renew its support for the deal. The agreement imposes strict restrictions on Iran's nuclear programme in return for the loosening of economic sanctions. Macron, who met Trump in Washington last week to try to convince him to not walk away, admitted he still did not know what decision the US leader would take. "I don't know what the US president will decide on May 12," he said during a two-day visit to Sydney, speaking alongside Australian Prime Minister Malcolm Turnbull. "I just want to say whatever the decision will be, we will have to prepare such a broader negotiation and a broader deal, because I think nobody wants a war in the region, and nobody wants an escalation in terms of tension in the region." Trump has pilloried the agreement designed to curb Iran's nuclear programme as "insane" and "ridiculous" and called for fresh measures to counter Iran's ballistic missile programme and support for militant groups across the Middle East. Macron, who admitted in Sydney that the existing deal was "not sufficient", is pushing for international talks on a potential wider accord. Speaking in English, he said there needed to be three additional "pillars" in the agreement. "One about the nuclear activity post 2025. Second, in order to have better control and monitoring of the ballistic activity of the Iranian regime. "Third, in order to have a containment of the Iranian activity in the region, especially Iraq, Syria, Lebanon and Yemen." The current deal gives Iran massive sanctions relief and the guarantee of a civilian nuclear programme in return for limiting enrichment that could produce weapons grade fuel. On Tuesday, Israeli Prime Minister Benjamin Netanyahu said he had new "proof" of an Iranian nuclear weapons plan that could be activated at any time. Macron made no comment on the Israeli claims, only that France was "very much attached to the stability of the region." "That's why we want to work on this new negotiation in coordination with Germany and the United Kingdom," he said. "We will work actively in order to convince everybody to have in the coming days, weeks and months such negotiation which is the only way to progress and stabilise the region."